Bob Myers joined Fort Wayne Metals in 1998. He is responsible for all Sales and Marketing, Business Development and commercial activity within the company. Since his arrival at Fort Wayne Metals, he has reorganized the Marketing department with a market focused Product Management team, established geographic sales representation in the US and Internationally, and led the development of numerous new product lines. He also served the lead role in the site selection and start-up of the company’s manufacturing and distribution center in Castlebar, Ireland. Prior to joining Fort Wayne Metals, Mr. Myers was with Allvac, an Allegheny Technologies Company, where he was responsible for developing business for a range of specialty and titanium alloys in rod and coil product forms on the newly commissioned $90 million hot rolling mill located in Richburg, SC. Preceding his employment at Allvac, he held various financial and marketing positions with Haynes International in Kokomo Indiana. 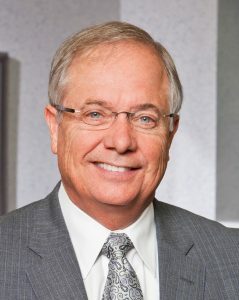 He has been an active member of SMST, ASM International, ITA and the IMIDMC (Indiana Medical Device Manufacturers Council). He currently sits as a Director on the Boards of both Fort Wayne Metals and Fort Wayne Metals Ireland limited. He received a B.S. in Business Administration from Miami University.